U.S. Treasury Secretary Steven Mnuchin said on Wednesday that he and other U.S. officials will travel to Beijing next week for trade talks, aiming to clinch a deal to avert a March 2 increase in U.S. tariffs on Chinese goods. Trump has vowed to increase U.S. tariffs on $200 billion worth of Chinese imports to 25 percent from 10 percent currently if the two sides cannot reach a deal by 12:01 a.m. (0501 GMT) on March 2. 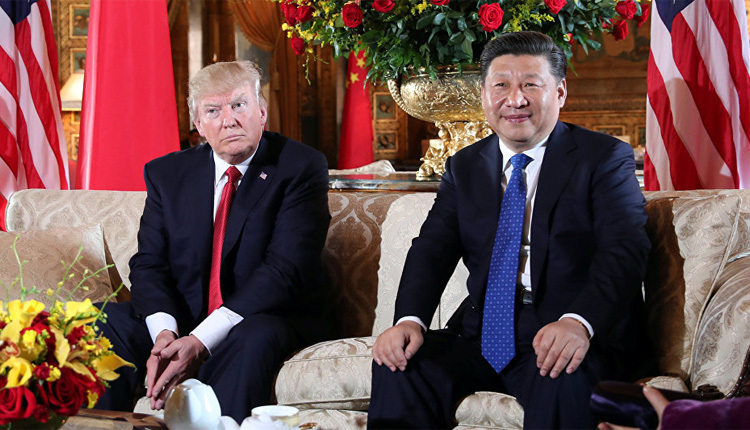 The two sides remain far apart on addressing U.S. demands that China make deep structural changes to its trade and economic policies and shrink the U.S. goods trade deficit. The Commerce Department on Wednesday reported the U.S. goods trade deficit with China reached $382 billion through the first 11 months of 2018, eclipsing the $375 billion gap during all of 2017, though the deficit narrowed for the month of November from October. Trump’s negotiators want Beijing to more strenuously enforce American intellectual property rights, stop cyber-hacking of trade secrets, curb industrial subsidies and end policies that coerce U.S. companies to turn over technology to Chinese competitors as a price of doing business in China’s vast market. A critical part of any deal, they say, would be a mechanism to verify and enforce China’s follow-through on any commitments it makes. “We are also very focused on free and fair trade for U.S. companies to have access there and to having a more level playing field which will bring down the trade deficit,” Mnuchin said, though he said there is still have much to do to reach an agreement. “I don’t think it would be productive to speculate on the outcome because we have a lot of work left to do. … If we can’t get to the deadline, that’s not because we haven’t worked around the clock,” Mnuchin said. Lighthizer held a closed-door briefing with U.S. senators on Wednesday on the upcoming China talks and the proposed new trade agreement between United States, Mexico and Canada. “He is optimistic” about the talks with China, said Republican Senator Tim Scott, who was in the meeting. He said Lighthizer told senators that purchases of agricultural products looked to remain a sticking point. “That’s one of those things, he says, one of those outliers of an issue that still raises real concern, and that he is still looking for ways to continue to address that and hammer on that,” Scott told reporters. China, which bought about 60 percent of the 2017 U.S. soybean crop, cut off purchases of U.S. supplies during the trade war between the two countries. China’s Liu, during last week’s talks with Trump, promised further Chinese purchases of soybeans. Since then, Beijing has bought 2.6 million tonnes of the product. Before the trade war, U.S. sold more than 30 million tonnes of soybeans to China annually.